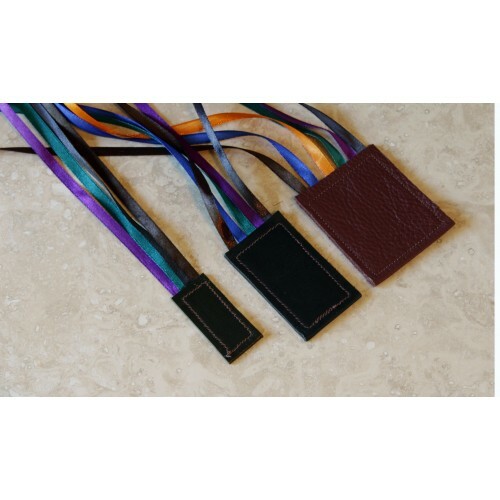 Custom-made to beautifully replace or add to any missal/book ribbons, these elegant satin ribbon bookmarks on a leather tab are perfect for referencing. They have a 25 cm (10-inch) long ribbon (6 mm/ 1/4 inch wide) marker that easily inserts into and securely fits into the missal's spine. 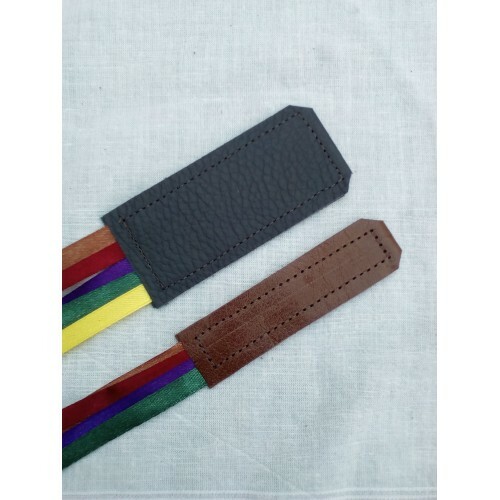 The 2 cm (3/4 inch), 2.5 cm and 3 cm tags have 4 ribbons. The 3.5 cm (1 3/8 inch), 4 cm and 5 cm tags have 5 ribbons. The 6 cm (2 1/4 inch) has 6 ribbons. The 7 cm (2.8 inch) has 7 ribbons. To choose the best fit for your book, measure the book's spine and choose a tab size 1/2 cm to 1 cm smaller than the spine. Do send me a message if you require something different.